Defox's 3D printed Periscope case does a pretty neat thing, which allows your smartphone to transform into an action camera. It repositions your camera so you can look down at your phone while record what's happening ahead of you. Essentially you are not pointing your camera at the subject being shot, but rather you are filming or taking a picture with your phone in a much more natural manner. This interesting deviation allows your phone to become an even more accessible device because now your phone is literally an action camera! You can mount your phone on handlebars or even place it on your car's dashboard and the bone's case uses a 45° mirror to film things that are located at a 90° angle. The case also lets you capture your ride handsfree because you do not need to hold your phone in a position anymore. 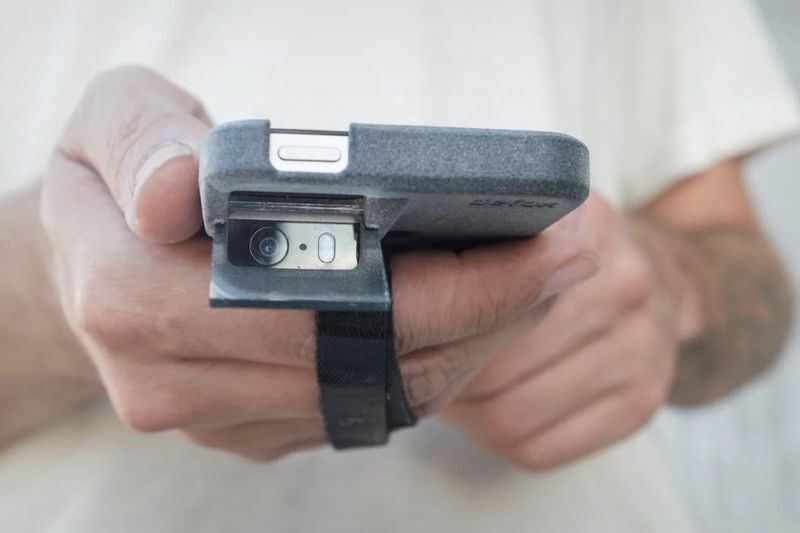 Just keep your phone flat on a surface, or mount it using the velcro-strap built into the phone case and you're automatically recording some cool stuff that is happening in front of you. The mirror slides into a slot that allows your camera to point elsewhere and when you are done, the mirror slides back into the case allowing your phone camera to work normally again. Highly recommended for sports junkies, content creators, and wannabe spies!